As a continuation of the condensation water catcher, we have improved the construction system but in a larger scale, in order to create a protection against the sun, the wind and the sand for this plot of the inhabitants of Tissardmine, besides the community centre. The proposal it is based on the construction system of nomad tents, with wood posts and ropes. Instead of using a fabric, we will use climbing plants that will create a green screen to provide shadow to the vegetable garden. The shape of the ensemble is adapted to the two main winds of the area (from the south and from the west), the sand will not be stopped but diverted (thanks to what we have learn with the dune barrier project). 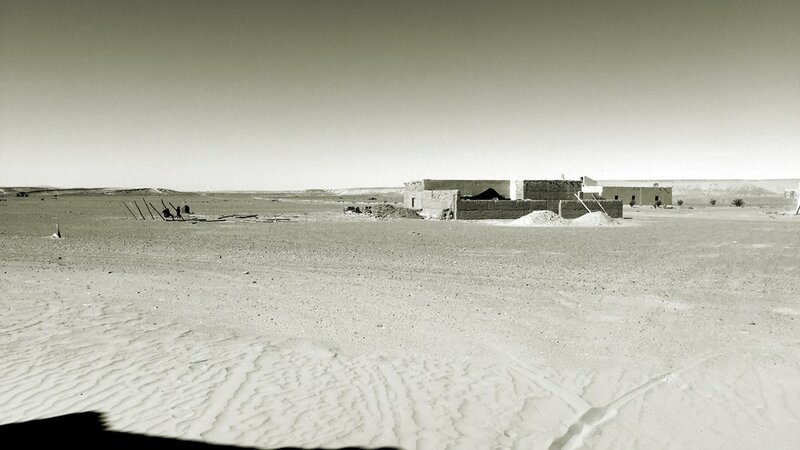 This project has been made in the framework of Marsad Drâa, our platform for desert researches. building in Beni Zoli, Zagora, covered by climbing plants. hotel in Errachidia covers by plants.